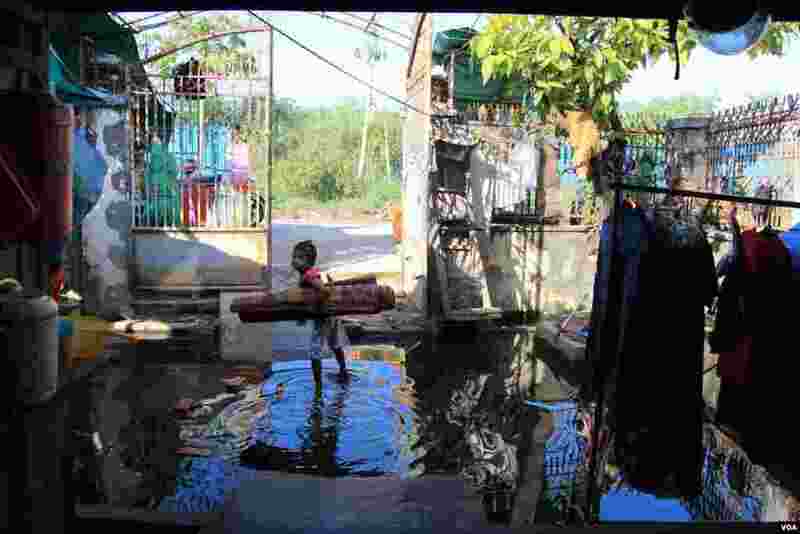 Even though the rainy season has ended for this year, Khoeun Sovat, 42, who lives in Boeung Kak community in Phnom Penh, Cambodia is still dealing with flooding. 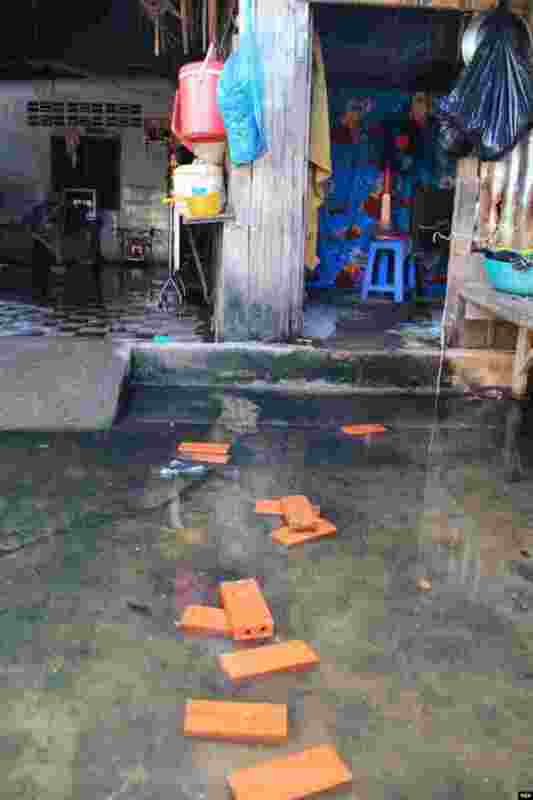 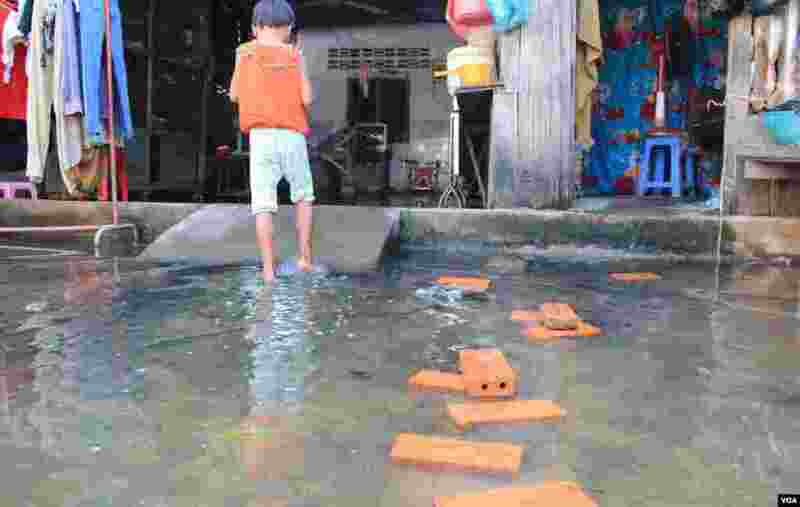 His house has been flooding for a half month now because of rain. 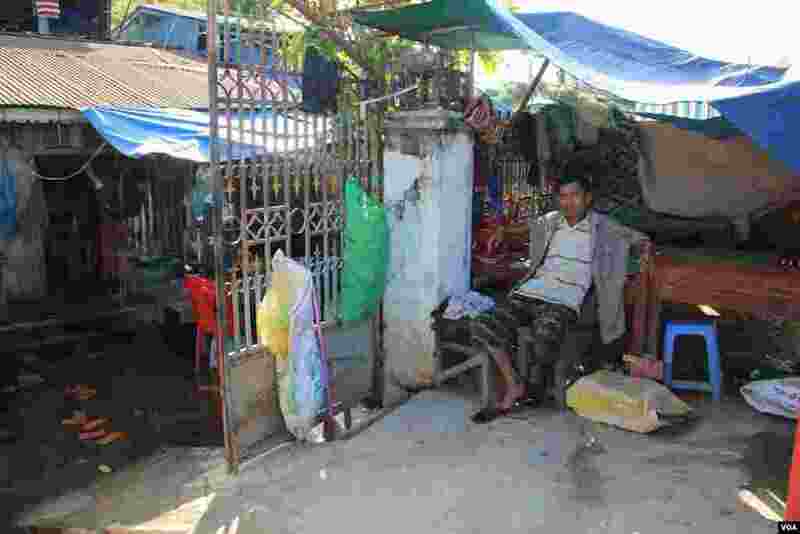 He said he has to pay double for his electricity bill due to using a pump. 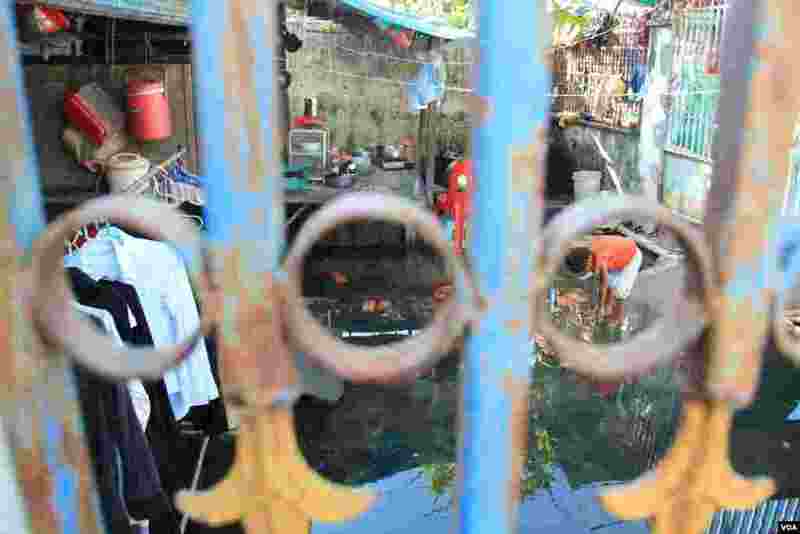 When the water level was at its highest level, he had to bring his bed out and sleep outside the house.